The TC Electronic Voicelive 3 Gigbag is the ideal solution for keeping your VoiceLive 3 and other essential gig items together and safe. Customised with soft padding, this gigbag is suitable for the original VoiceLive, VoiceLive 2, and the VoiceLive 3. 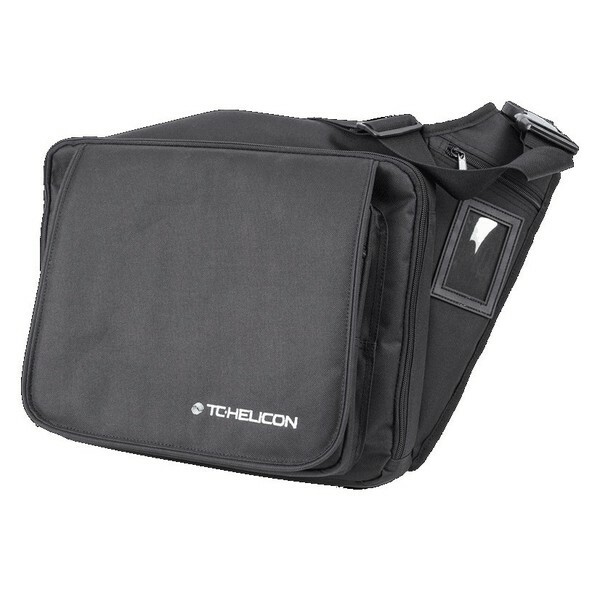 Constructed from durable nylon, the TC Electronic VoiceLive 3 Gigbag features multiple inside pockets for microphones, cables, and other accessories. The bag also features an ergonomic shoulder strap for easy transportation.